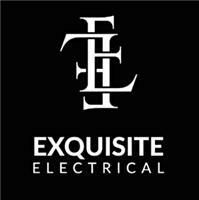 Hello and welcome to Exquisite Electrical Limited. We aim to provide a professional service, contemporary design and flawless installation. With 10+ years experience, we can deliver at any level. We have been involved in numerous projects throughout the capital. North, South, East & West, we cover all of London. If you need an additional socket, a fan replacing, shower installing or your power has failed and won't switch back on, we at Exquisite Electrical Limited can help. Customer satisfaction is of the utmost importance. We are not happy until you are happy.